Many physiotherapy practices throughout New Zealand, and all over the world, have embraced acupuncture as one of their treatment options for clients. The team at Accelerate Physiotherapy have been using acupuncture for many years and have seen success in providing pain relief, healing and enhancing general well-being. 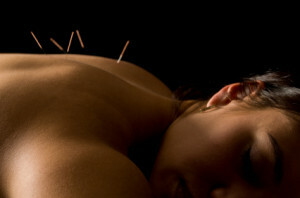 Following a diagnosis based on clinical reasoning, acupuncture may be recommended as part of wider treatment approach. The needles used are disposable, single use, pre-sterilised needles of varying widths and lengths. A number of needles may be used at each treatment and these are typically left in position for up to 30 minutes before being removed depending on the response required. A needle is manipulated until a QI sensation is felt (a tingling or often warm heavy sensation that can spread away from the area of the needle). Accelerate Physiotherapy Directors Alana and Lindsay are members of the Physiotherapy Acupuncture Association of New Zealand which is a special interest group of the New Zealand Society of Physiotherapists. It is for physiotherapists with qualifications in acupuncture practice to participate in ongoing learning, peer support and development of the practice of acupuncture.